Mountains! 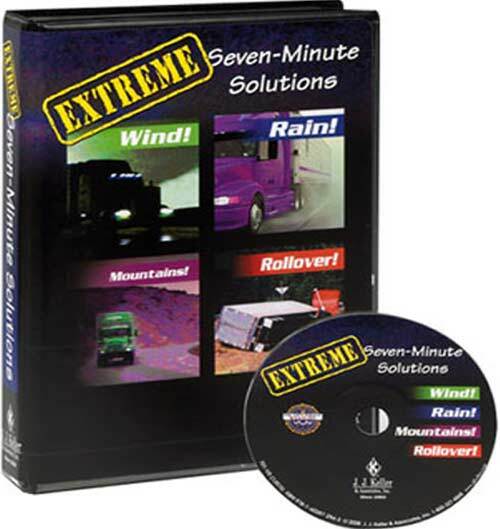 Covers the dangers of mountain driving, including ascending and descending steep grades and the added dangers of inclement weather. Rain! Provides a quick refrsher on the dangers of driving in wet weather: limited visibility, loss of traction, hydroplaning, and mechanical problems. It also reviews proper following and stopping distances and covers the hazards posed by standing water and soft shoulders. Rollover! Helps prevent rollovers by making drivers more aware of factors causing them: speed (especially at exit and entrance ramps), wind, fatigue, inattentive drivers, and "phantom vehicles. Wind! Advises drivers how to control their vehicles in extremely windy conditions. With the longer "sail" surface on 53-foot trailers, and with newer trailers being built lighter, rollovers can occur more easily in extreme conditions - even when at a standstill.